One Owner Home - Spacious, Upgraded, End Unit Town Home in the ''Best Kept Secret'' Gated community of Fairway Views. This inviting Town Home Features: 2 Master Bedrooms (One Downstairs and One Upstairs) with Walk-in Closets and Walk-in Showers; 22 ft high ceiling in Great Room; Front Courtyard and Covered Patio in Private Backyard; Balcony Front and Back of home. 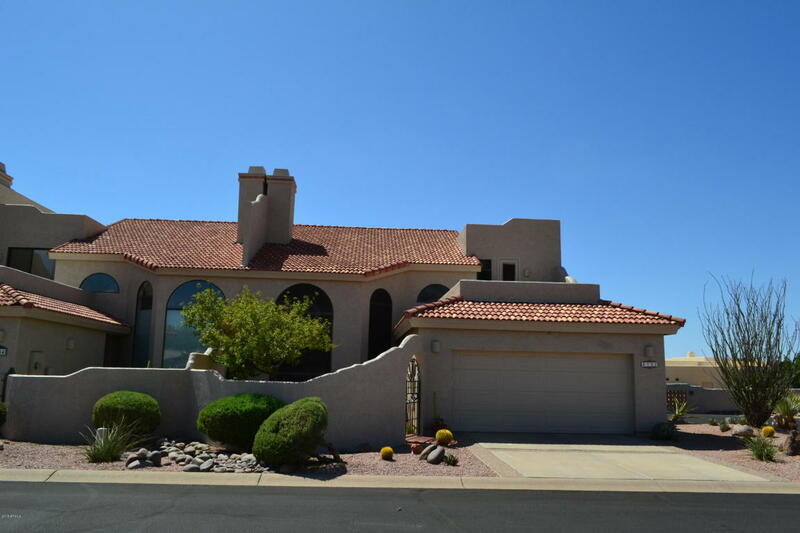 Fairway Views has Community Pool, Club House and is within walking distance of Gold Canyon Golf Resort. HOA Dues includes Water - Garbage Pick-up - Exterior Painting of Home. Come - Experience - Enjoy & Stay !